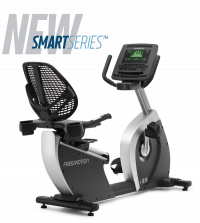 This upgraded biking experience comes with a simplified console made smarter with the addition of the exerciser's smart device. Use "as is" and the bike tracks workout essentials such as calories, time and distance. Sync a personal device and choose from workouts filmed on location around the world and the bike will match the workout with increased/decreased resistance. 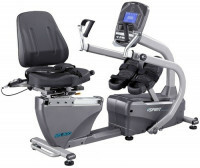 The MR100’s recumbent design pays particular attention to hip and lower body joint mobility, allowing optimal rehabilitation at a relatively relaxed posture. 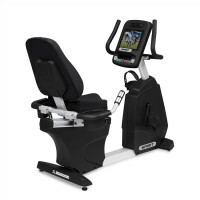 Users may input desired knee flexion angles and the software will suggest the pedal and the seat’s fore/aft position. Variables such as body symmetry and limb length can be taken into account for clinicians to finely tailor to every patient’s needs. 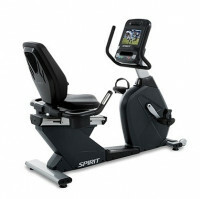 Durable, comfortable, and smooth are all qualities of the Spirit Fitness semi-recumbent bikes. 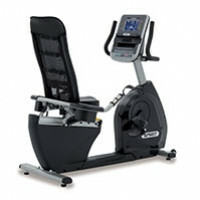 The CR800ENT Semi-Recumbent Bike is the perfect bike for the commercial environment. Designed on the solid CR800 platform, the CR800ENT incorporates touchscreen technology on a large 10.1” entertainment display. TV, web browsing, and music streaming are all made possible within a user interface that is easy to use and adaptable to nearly any facility. 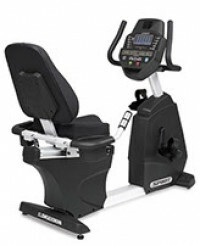 Durable, comfortable, and smooth are all qualities of the Spirit Fitness CR800 semi-recumbent fitness bike. 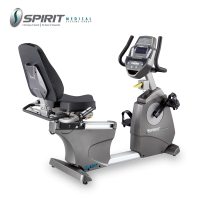 Easy adjustments, bright LED screens, a turbo cooling fan, high density foam seat and backrest, challenging programs, 40 levels of magnetic resistance, and a generator powered console. The XBR95 features easy adjustments, a bright LCD screen, an adjustable cooling fan, a mesh back seat, innovative programs, a 30 lb. flywheel, 40 levels of resistance, and no need for electricity.